The movement’s system of Jewish philosophy, teaches understanding and recognition of the Creator, the role and purpose of creation, and the importance and unique mission of each creature. This philosophy guides a person to refine and govern his or her every act and feeling through wisdom, comprehension and knowledge. Chabad-Lubavitch is commited to strengthening traditional Judaism, while being welcoming and available to every Jew, regardless of background, knowledge, or level of observance. The movement is guided by the teachings of the founder of the Hasidic movement, Rabbi Yisroel Bal Shem Tov (1698-1760) , and subsequently,the seven leaders, ("Rebbes") of the Chabad-Lubavitch branch of Hasididc Judaism beginning with Rabbi Schneur Zalman of Liadi, of righteous memory (1745–1812). These leaders expounded upon the most refined and delicate aspects of Jewish mysticism, creating a corpus of study thousands of books strong. They personified the age-old Biblical qualities of piety and leadership. And they concerned themselves not only with Chabad-Lubavitch, but with the totality of Jewish life, spiritual and physical. No person or detail was too small or insignificant for their love and dedication. The origins of today’s Chabad-Lubavitch organization can be traced to the early 1940s, when the sixth Lubavitcher Rebbe, Rabbi Yosef Yitzchak Schneersohn of righteous memory (1880–1950), appointed his son-in-law and later successor, Rabbi Menachem Mendel, "The Rebbe", to head the newly founded educational and social service arms of the movement. The Rebbe envisioned a world where every Jewish person has the opportunity to live a commited Jewish life, as Jewish people have for thousands of years. To this end, he sent young rabbis and their wives ('shluchim") all over the globe to bring authentic Judaism to even the most geographically distant Jew. Chabad-Lubavitch of Mississippi is a continuation of this chain. 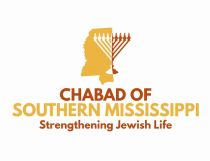 We are dedicated to strengthening Jewish life in Southern Mississippi, and to bringing our rich heritage to every Jew. Rabbi Hall grew up in Ocean Springs, MS from the time he was a young child. He attended local public schools before enrolling in Yeshiva Ohr Elchonon Chabad in Los Angeles, where he learned for two years. Afterwards, he learned at the Rabbinical College of America in Morristown, NJ. He then studied for Rabbinical Ordination at Yeshivas Chovevei Torah Lubavitch in Brooklyn, and received his Ordination in the fall of 2012. He is passionate about learning and teaching Torah, and enjoys writing in his spare time. 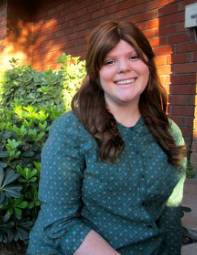 Hannah grew up in Bakersfield, California where her family attended the local Chabad Center. When Hannah was 17, her family moved to Los Angeles to be closer to the Jewish schools and her friends. After graduating Valley Torah High School, Hannah attended Afikei Torah Seminary in Jerusalem. Following Seminary, Hannah worked at a local Chabad house as a pre-school teacher and secretary while attending Maalot Women's College pursuing a degree in Psychology. Shortly afterwards, she was married. Hannah loves having an open home and and bringing the warmth of Judaism to her guests.